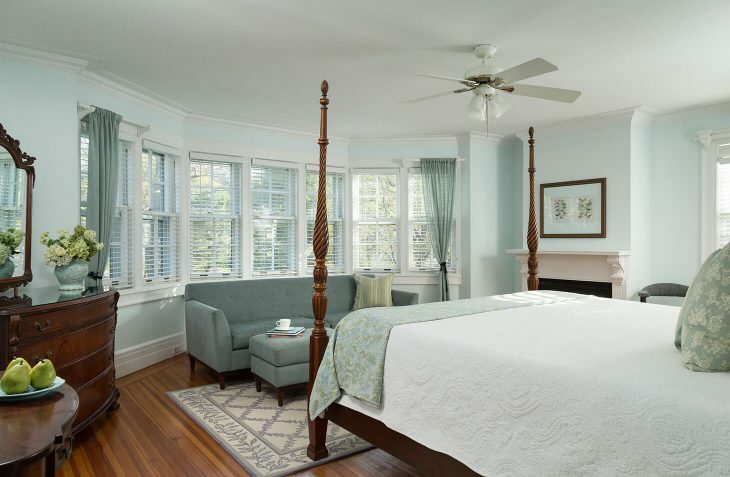 This spacious guest room at our Bed and Breakfast in Bennington, VT has newly refurbished hardwood floors, a four-poster mahogany king bed, cable TV, and gas fireplace. Decorated in soft, soothing blues, there isn’t a week that goes by that we don’t get a request for the paint color! 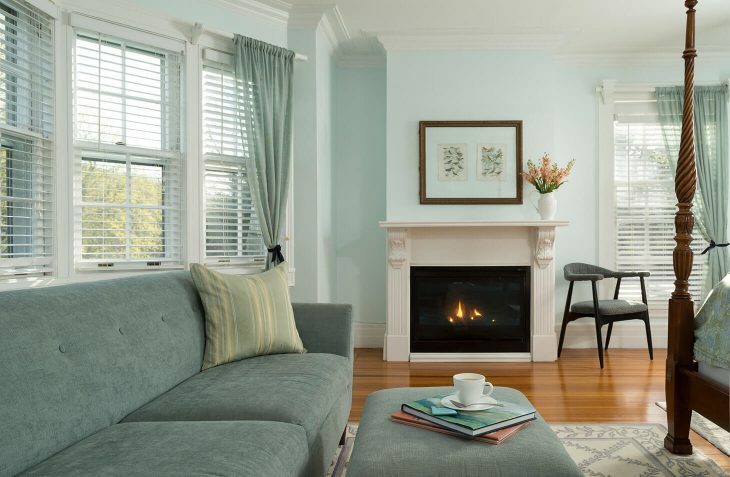 Relax in on a comfortable couch looking out a seven-bay window onto the South lawn and 150 year-old stone wall. 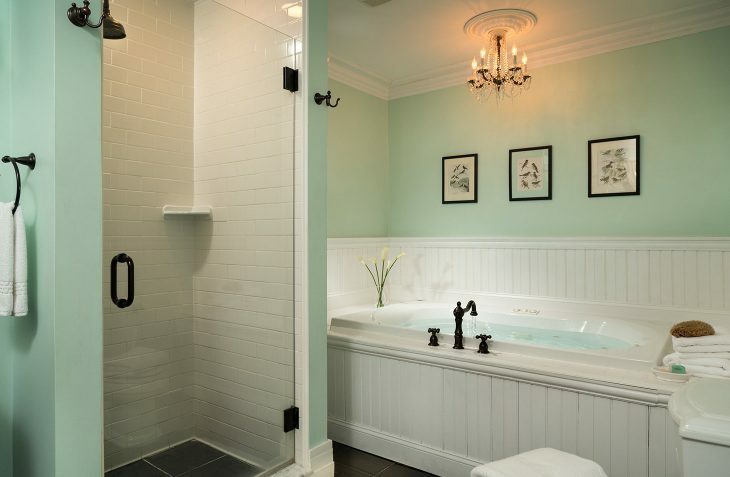 Adding to the romance of this enchanting room at our Vermont bed and breakfast is a beautiful marble and tile bathroom with an over-sized jetted tub, separate shower and chandelier. 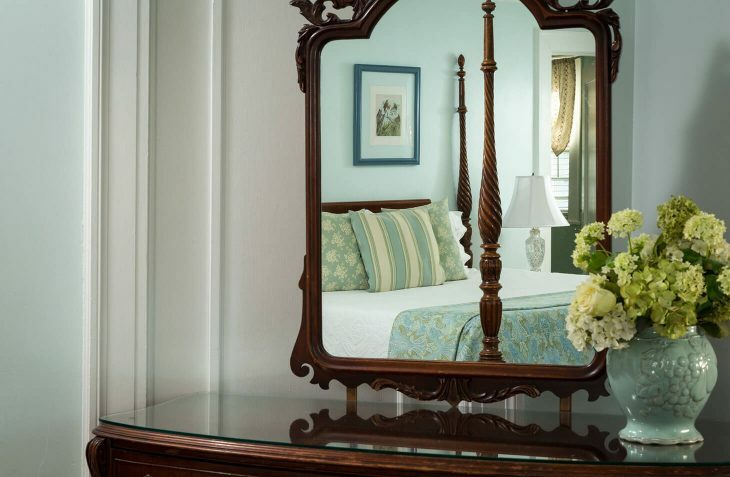 The perfect room for a special anniversary, honeymoon or romantic getaway.